Glitch—whenever I open the app it asks me to put in my height and my bio is gone. It won’t load matches or conversations it just says error. I delete the app and redone load and it will work for awhile, but it inevitably stops working again. So frustrating! Was never able to log in again after redownloading the app. I haven’t been using the app long and I am new to online dating, but I like a lot of it. However, I wish I could review the people I swiped up on to send a note later. I would also like to see people who swiped up on me even if I didn’t swipe up on them. The main reason for wanting this feature is because almost every time I log in, a few new people show up. I may not being seeing people that ‘like’ me to have the opportunity to ‘like’ them and get matched. That’s easily the most frustrating part of the app. A couple of girls I went back to swipe up on disappeared when I logged back in after I decided it was a mistake to pass them up. The app keeps saying there’s no one new in my area, but I get notifications that someone has swiped yes on me. I also did a reset to previously seen profiles, but still nothing shows up. 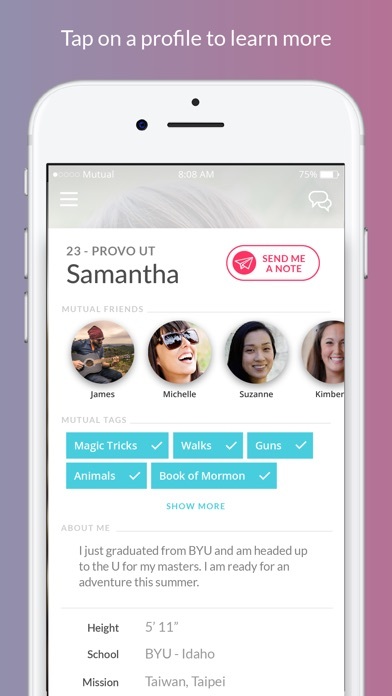 This dating app is good at what it does note I didn’t say great because while the app runs smoothly it’s still a big game of trying to find someone out there that has the same beliefs and interests. 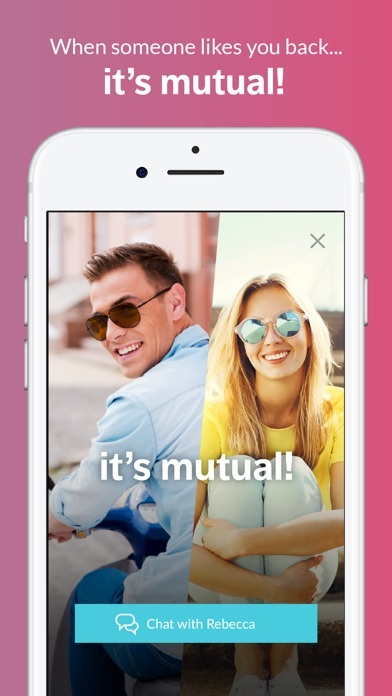 Some people are here just to find followers for their Instagram or Snapchat, some are here to just find a friend (nothing wrong with that) but I’m here to find some one I could spend the rest of my life with I don’t appreciate the people that are using this dating app as a way to gain more followers or just use you for something you might own like a pet. 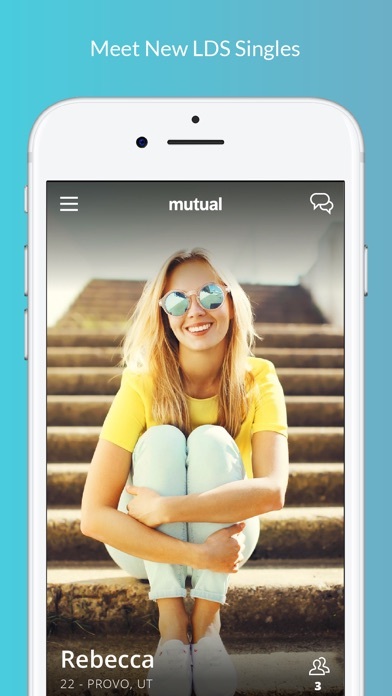 The people that are using this app for its intended purpose of I’m new to a area and I’m looking for some friends that’s fine because that could lead to more down the line but I feel bad for the people that are trying to find some that they can have a relationship with and some of the people on here are not mature enough to do so. I’ve been banned for no reason! I made an account, and rarely use it. I tried logging in and a message popped up saying I’ve been permanently banned with a message from the developer saying I’m not the type of person that should be on the app. I only thing I hate about the app is that I went off social media so I cant register to use your app. I’m 34 single mother of 2 and would like to access like minded men. So take this less as a review of the app, and more the people using the app. My experience was exceedingly poor. The app did have the occasional bug for me, but the biggest problem was the people. In the years I have been using this app, I and gotten +100 matches. And not a single date. With less than 30 ever replying to a message I sent, and less then 10 replying for any measurable amount of time. 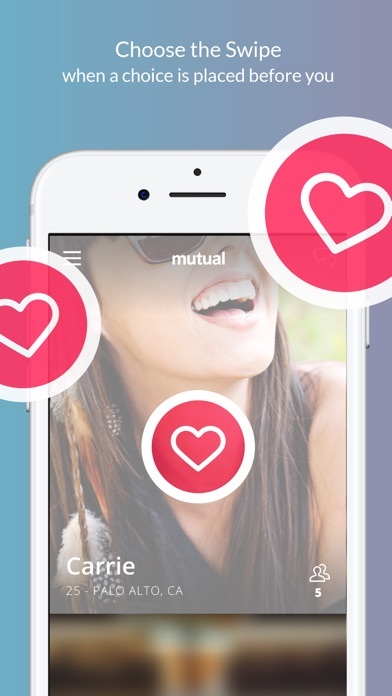 If you are using this app, do NOT swipe up on a profile if you have no intention of talking to them. You know who you are that does this. Ladies and gentlemen, this app is not a platform to obtain more followers for Instagram! Thank you ladies, for helping destroy my self esteem, and making me confront the fear of never finding love. This gets personal but I’m sorry. And I won’t be using your app anymore. I’m not blaming you just. Try to vet people better please. Met someone on here. Started talking off the app for literally weeks. Turns out not to be the person I thought I was talking to. Day of the date got blocked and ghosted. I feel like the app itself is a good fairly solid app, it functions well, it’s pretty intuitive, and you don’t meet tons of gross people on here! However it does stop working every couple of weeks or so and you have to uninstall and reinstall it. It’s kind of annoying, but hasn’t annoyed me enough to entirely stop using yet.